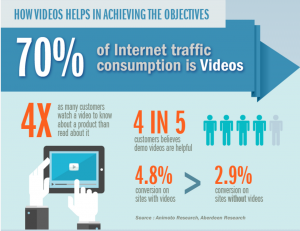 With moving visuals, narration, and music combined, videos are able to capture and retain attention better. Intangible messages about the brand can be conveyed within a few seconds, with the potential to alter viewers’ perceptions by the end of a short clip. In today’s fast-paced, time-starved culture, brands have to compete with people’s increasingly short attention spans. And the reason why video consumption is increasing exponentially is because it enables viewers to “get the message” quickly, as opposed to reading a long form article, for example. Branded videos that amuse, inspire, educate, or entertain enable viewers to have a positive emotional association with the brand. This feel-good vibe is instinctive, and has a greater influence over a viewer’s brand loyalty than a perception deduced from logic. Brands can maximise on the viewer’s positive feelings by inserting prompts into the video to learn more about the product or service. By riding on people’s curiosity, brands can convert a passive audience into one that participates while forming an emotional connection with the content. On the other hand, companies can also use demo videos to gain the trust of potential customers. With savvy consumers desensitised by stylised photographs and flowery reviews that promote a product or service, videos are a great way to portray something accurately. Millennials, for example, are more likely to purchase a product or service that has a video to demonstrate or explain it (80 percent of millennials consider video content when researching a purchase decision). From a montage of customer testimonials to a clip of a social influencer modeling the label’s apparels, videos are able to reveal a lot more about the company. This results in the brand appearing more trustworthy, and assists in the customer’s informed choices. 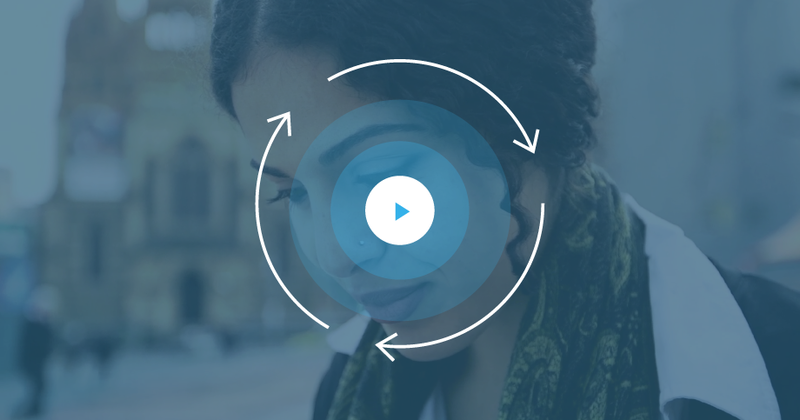 Here is an Interactive experience demonstrated by social influencer driving sales objectives. When engaged in a video, potential customers have their interest piqued, and brands ought to ride on the moment. While videos are traditionally created for passive viewing, what’s crucial for any brand’s digital video marketing strategy is to incorporate call-to-action. This is where interactive videos can create a dynamic shift from a passive to active experience for viewers, and enable potential customers to have an immersive engagement with the branded content. Having tags to prompt action as the video plays is a value-added way to guide viewers on where to get more information on what he or she is seeing, or even purchase it immediately. This effectively allows brands to create call-to-action points within the video, which taps into viewer’s emotive responses and leads them to participate actively. Wootag allows businesses to customize these features that add a new dimension to conventional videos, making it a holistic and memorable experience for the audience.